At NIDV (Netherlands Industries for Defence & Security exhibition), Naval Group showcased its capabilities and vision to the Dutch industrial partners in the context of the Walrus replacement program as well as cutting-edge concept products. The company outlines its vision and capabilities on submarines to its Dutch industrial partners in the context of the Walrus-class replacement program. This project will be a strategic long-term cooperation opportunity for all parties involved. 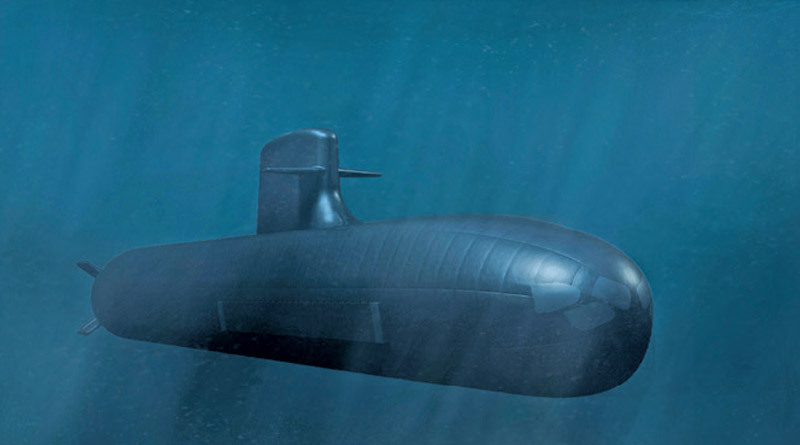 “Naval Group foresees to closely work together with more than 70 Dutch companies, knowledge and research centres on the design, construction and the maintenance of a new generation of submarines in the Netherlands,” said CEO, Naval Group Netherlands, Mark von Rooij. Building on its 400 years long experience in supporting the French Navy, Naval Group is the partner of choice for many international navies, including several NATO allies. For example, in this capacity, Naval Group has designed and is building the first units of the Barracuda family. It has been developed to respond to the needs of first-rank navies and to specifically respond to evolving threats. The Barracuda family of submarines brings unmatched oceanic potential to the market and offers uncompromised performance in acoustic discretion, special operations, stealth and striking power. It is capable of supporting a variety of complex mission scenario including coalition and NATO operations. In 2016, within the Sea Future Program, Australia has selected the Naval Group’s Barracuda family to renew its submarine fleet with 12 new units. To meet the operational needs of the next decades, Naval Group also presented a disruptive submarine. Naval Group innovates to push the technological thresholds and reach unequalled performances with the SMX31 Electric, the total stealth, enduring and invulnerable fully electric submarine. It has new sensors, a new coating and is specially adapted for the use of unmanned vehicles. The Electric can help navies gather and share valuable intelligence without ever being detected thanks to the powerful acoustic, optronic and electromagnetic sensors. It is capable of acting firmly using powerful new generation weapons. It presents several assets including the extreme stealth when submerged, the increased invulnerability against modern weapons, the energy autonomy and its endurance.